The 2 brush system that is utilized by this IPC Eagle CT90 walk behind auto scrubber, uses the machine's full girth to scrub over a 32 inch path. This allows the machine to cover the largest amount of floor in the industry for a walk behind scrubber. The 24 gallon solution tank provides a ton of solution to efficiently cover large areas. With the larg 240 amp-hour batteries, you can clean a 65,000 square foot facility on a full charge. This CT90 self-propelled scrubber utilizes a unique self-leveling brush head that is designed to automatically adjust and provide excellent results on the most uneven surfaces. Couple this with its proprietary "ultra dry" squeegee system and there is no other scrubber that will provide the same scrubbing and drying performance in the same price range! This scrubber can also be used to strip floors. Keep the squeegee in the up position, and off of the floor for a double scrub! Great for wide open areas, like gymnasiums, banquet halls, and hotels/motels. 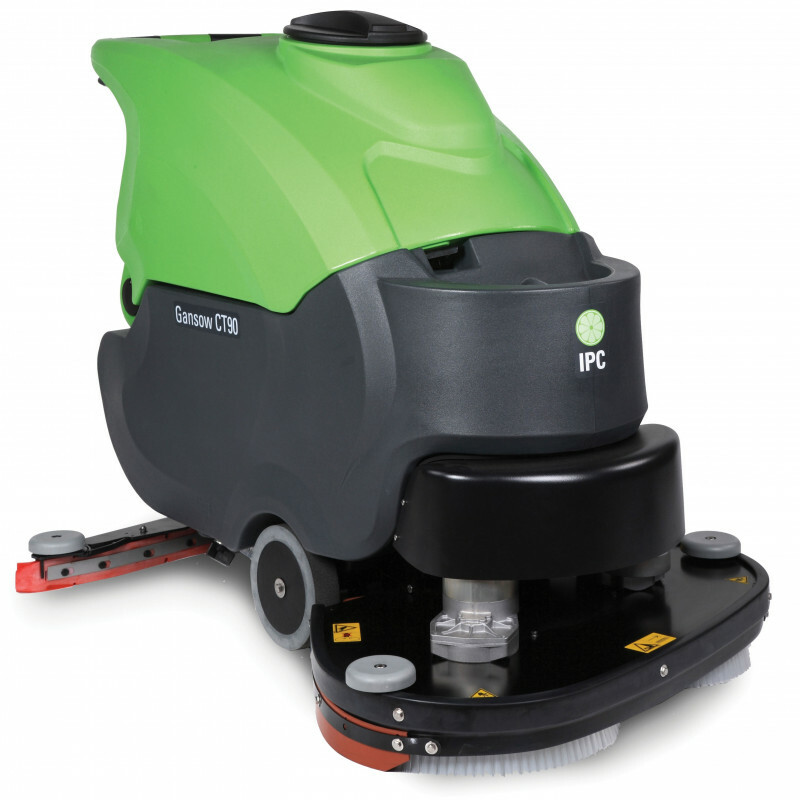 For smaller models, and models with different options, but with the same great warranty plan, please take a look at all of our full line of IPC Eagle commercial scrubbers. 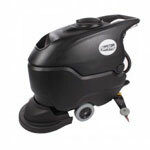 For other options, please take a look at all of the lines of walk behind floor scrubbers that we carry.